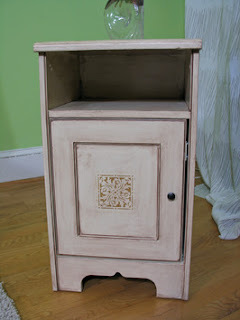 Transform a ordinary piece of wood furniture into a stunning antique with a little bit of paint and glaze. 1. 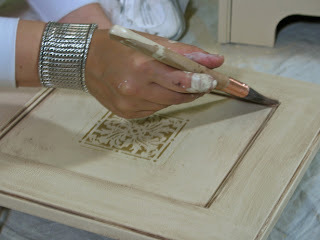 First step in antiquing furniture with Glaze is to Cover an wood piece of furniture completely with an oil-based primer. Let dry. 2. Apply the base coat of paint. A satin finish will make applying glaze easier. Using paint with a flat finish can make the glaze blotchy. Applying paint with a paintbrush gives your piece an aged look while using a foam roller creates a smoother finish. Let dry. 3. Place the stencil in desired location, paint over it and use a damp rag to easily wipe extra paint off the satin finish basecoat. Carefully remove the stencil. 4. For the antiquing look, mix a glaze by adding one part dark brown paint to three parts glaze. Stir thoroughly. Brush the glaze generously across your Furniture piece. If you have a large piece of furniture, work in sections to avoid drying lines. Wipe the glaze off right away using either a rag or cheesecloth. 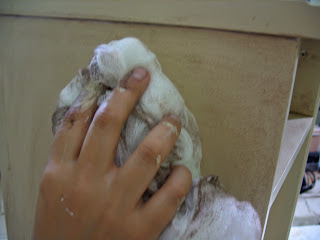 Cheesecloth gives you a smoother finish and a rag gives you a wiping effect. 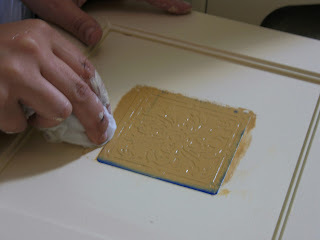 Continue applying glaze and wiping it until you achieve your desired finish. If you mess up, use a damp rag and the paint will easily wipe off the satin finish basecoat. 5. Highlight all of the architectural features by taking the same glaze and brushing it into the crevices of door or drawer fronts. Wipe off excess. 6. 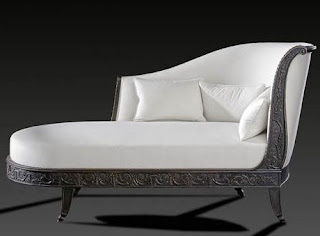 Final step in antiquing furniture is To highlight the edges of your furniture piece, take the brush with a little bit of glaze on the tip and running it along all of the edges at about a 45-degree angle, leaving a line of glaze. 7. After your glaze dries, add a coat of polyurethane to protect the antiquing finish look. Antique Glaze is actually a process of giving an aged look to your furniture or any other decorative thing by means of something like painting by some specific solution. 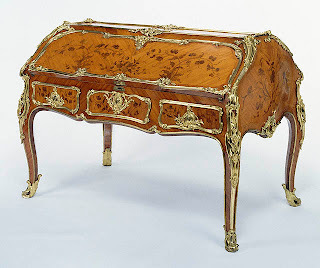 This all process is described in above discussion so that you can make your furniture antique.Thank for sharing this process.